CashFlowTool.com integrates directly with QuickBooks for Desktop allowing you to quickly add a new business and update your financials. 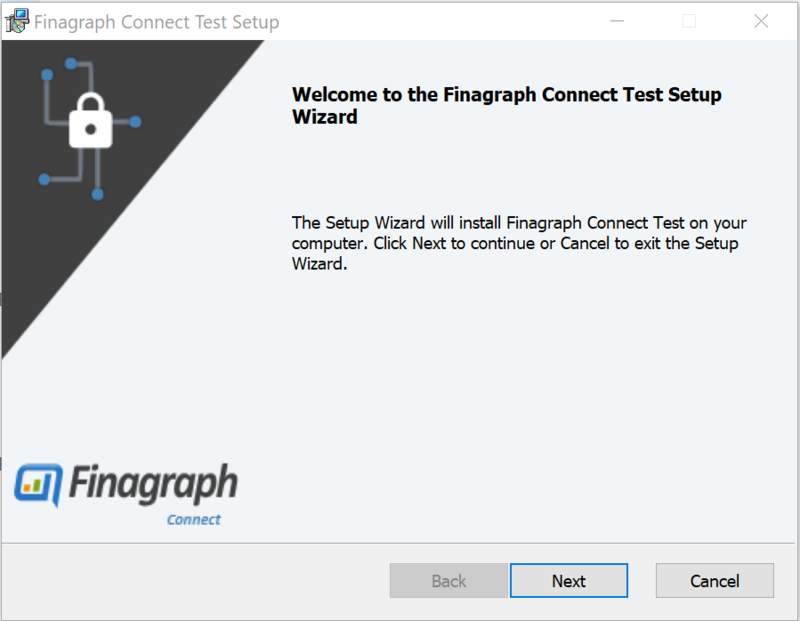 To get started, you need to download and install the Finagraph connector using the following steps. Setup only takes a few minutes to complete and only needs to be completed once. If you do not launch QuickBooks Desktop using Window's Run as administrator, the Finagraph Connect menu option will not be available from within QuickBooks company menu. Note: You only need to Run as administrator once. The first time you open the company file, you must be logged in as the QuickBooks 'Admin' user. Only the admin can grant permissions to enable 3rd party add-in. Select the checkbox "Allow this application to access personal data such as Social Security Numbers and customer credit card information." This allows CashFlowTool.com to access payroll data. If you open the company file as standard user, you will not see the prompts to authorize Finagraph Connect. You must open the company file as an 'Admin' user at least once. 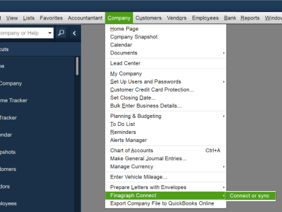 Note: After the 'Admin' user has authorized Finagraph Connect, other QuickBooks users will see the Finagraph Connect option under the Company menu. Choose Yes to confirm your choice. CashFlowTool.com will open using your default browser and show CashFlowTools.com login screen. Enter your user name and password, or select one of the other login methods. If needed, you can choose to Sign Up for a new account too. Menu option not shown? 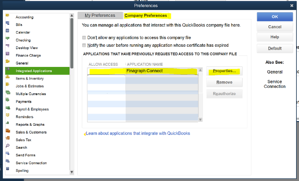 If you do not see the menu option Finagraph Connect under the company menu, ensure you have launched QuickBooks Desktop using the Run as Windows administartor option described above. The business is automatically added to CashFlowTool.com using information from the company file and your new business will be displayed in the Business Activity Center. It may take a few seconds for QuickBooks Desktop to connect and upload financial data to CashFlowTool.com. Progress will be shown in the first panel when updating and the date updated once complete. Once updated, your key business metrics and cash flow calendar will be displayed. If needed, you can edit details about your business by selecting the business settings option from the Business Activity Center. The financials will be updated, and CashFlowTool.com web page will be opened using your default browser. If the business does not exist in CashFlowTool.com, it will be automatically added. Q: Can I update financials from multiple desktop computers opening a company file from a shared location? A: Yes. You can install Finagraph Connect on multiple machines if needed. Q: Can another user on my machine update financials? A: Yes. Finagraph Connect is installed for all users on the machine. Q: Do you support hosted, and shared environments? A: Yes. Work with your IT department to install the Finagraph Connect on the server where QuickBooks Desktop is installed. Q: Can I use QuickBooks Desktop while my company’s financials are being uploaded? A: No. 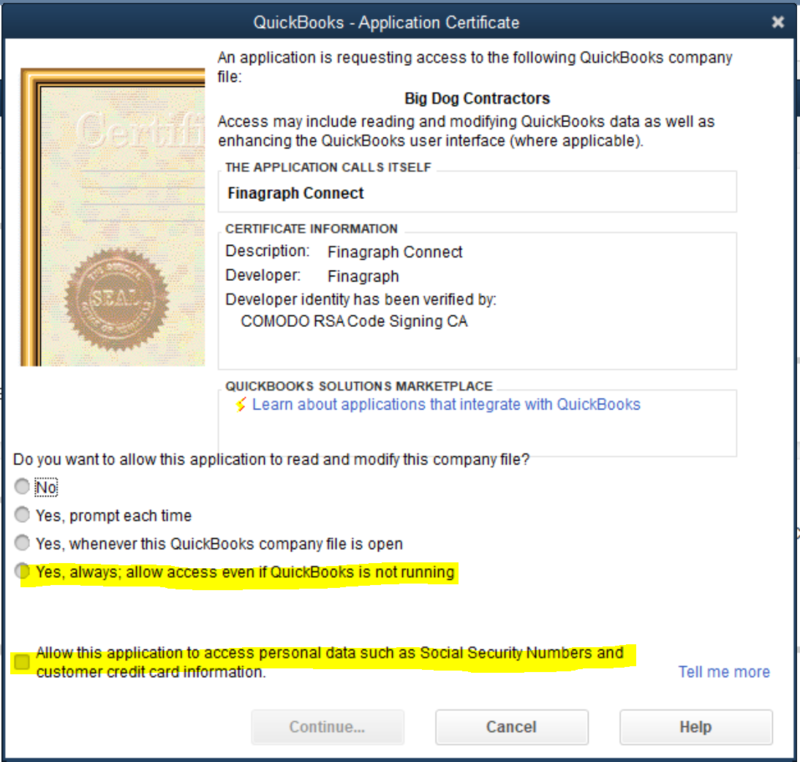 QuickBooks API blocks user interaction and you may see Windows wait spinner flash from time-to-time. The browser will automatically open once financials are updated. Q: Can I schedule financial updates to occur automatically? Q: Do you support Right Networks? A: Yes, Right Networks supports 3rd party add-ins under certain plans. Submit a support ticket with Right Networks and ask them to enable CashFlowTool's Finagraph Connect on your account. 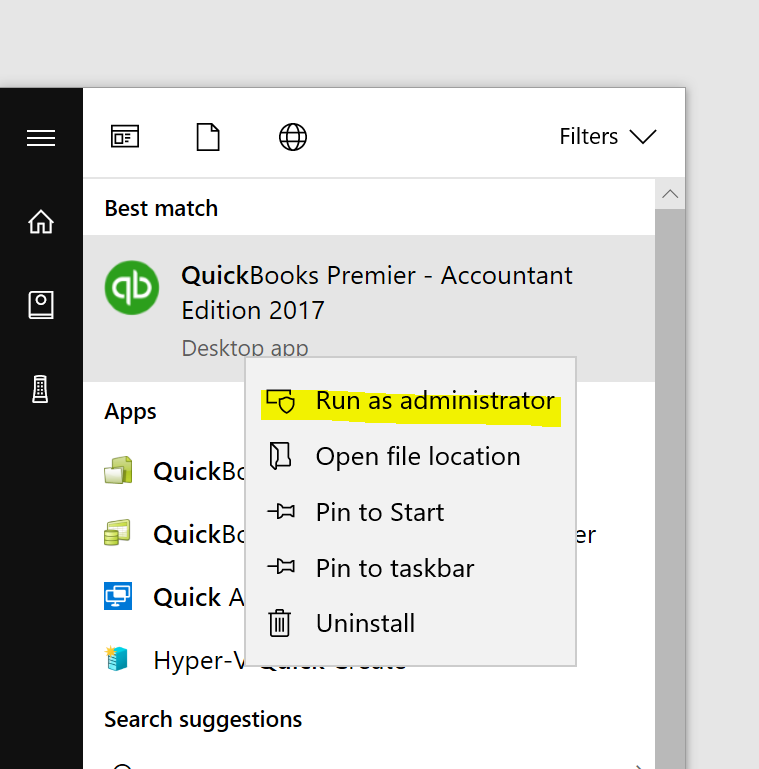 Run QuickBooks Desktop using Run as administrator option. After installing Finagraph Connect, you must open QuickBooks Desktop as a Windows administrator. This is different than opening the company file as a QuickBooks admin user. 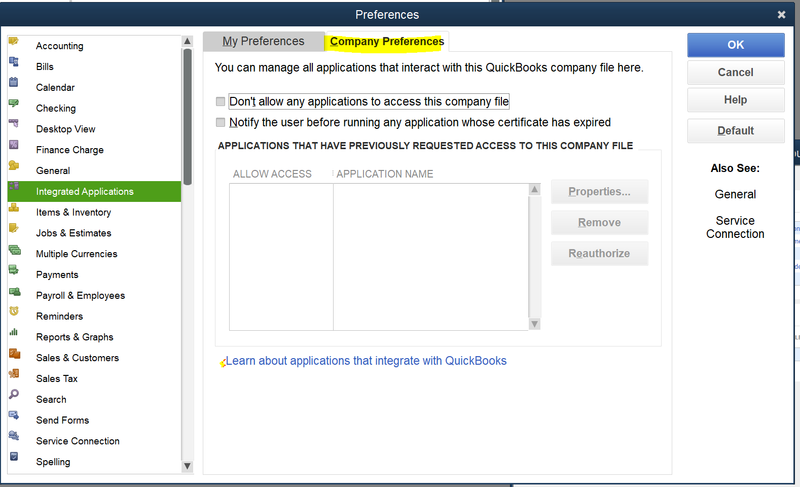 From within QuickBooks Desktop, select Edit / Preferences. Select Integrated Applications and view Company Preferences. The Finagraph Connect add-in safely and securely uploads financial information using bank level data encryption. A secure connection between your computer and our server is established each time financials are updated. A unique ID is saved in your company file to associate the business with your CashFlowTool.com. Finagraph Connect does not write any financial data to the company file. While updating your financials, read-only operations are performed against the company file. 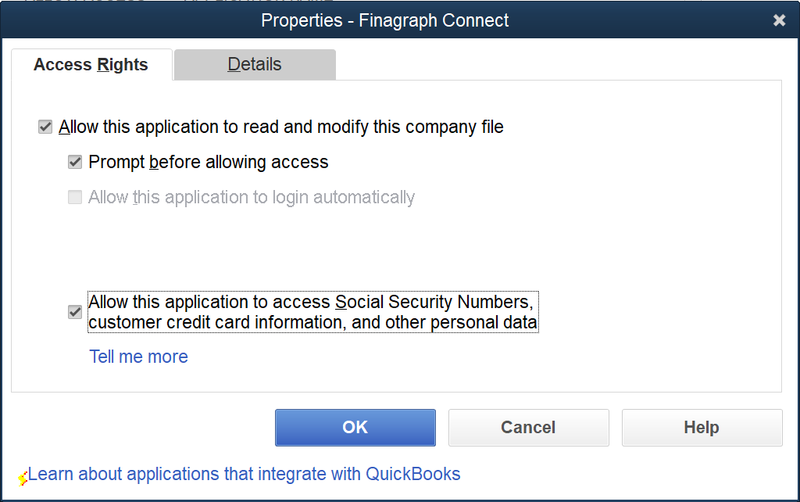 You can revoke access at any time either by changing QuickBooks Application Integration preferences or uninstalling the Finagraph Connect. Details below. At any time, you can revoke Finagraph Connect's access to your company file.